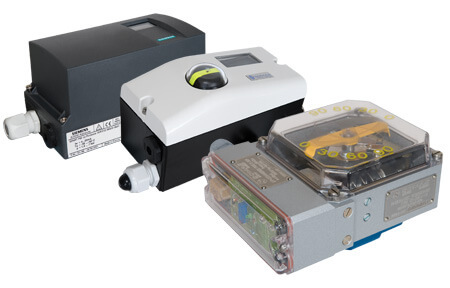 SOMAS actuators can be equipped with all necessary accessories to achieve the desired functionality; pneumatic/electro pneumatic analog valve positioners as well as digital valve positioners from different manufacturers to enable diagnostics and monitoring of valves. Positioners and switch boxes can be installed using SOMAS patented fitting blocks in accordance with VDI/VDE standards. SOMAS pneumatic valve positioner (type SP405) and electro pneumatic valve positioner (type SPE405) are used for actuators with 90 degrees of turning.All positioners are engineered to meet the requirements from the process industry. For more information about valve positioners, or any documentation related to any of our other products or services please click below.